Host Evan Golden on the red carpet with actor/director Jason Priestly at the Palm Beach International Film Festival for Priestley’s feature film directorial debut the independent road trip comedy Cas & Dylan, starring Richard Dreyfuss and Tatiana Maslany. Jason Bradford Priestley (born August 28, 1969) is a Canadian–American actor and director. He is best known as the virtuous Brandon Walsh on the television series Beverly Hills, 90210 and for his role starring as Richard “Fitz” Fitzpatrick in the show Call Me Fitz. 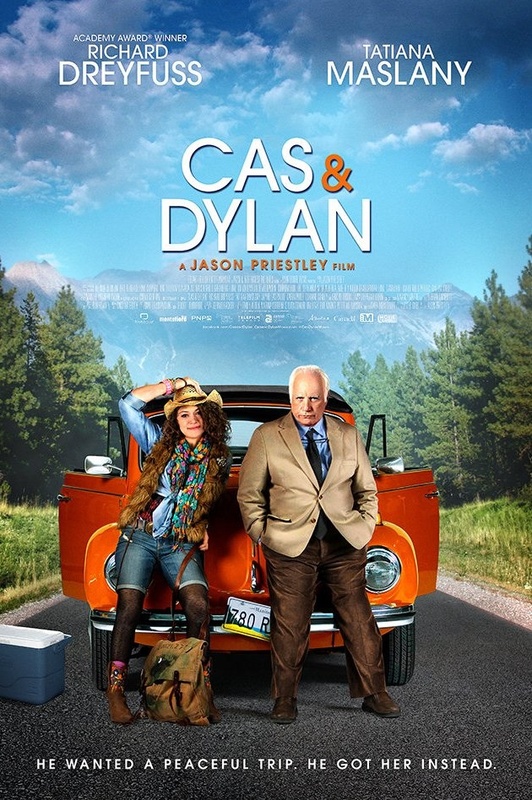 Cas & Dylan is an independent feature film starring Richard Dreyfuss and Tatiana Maslany. It is a road trip comedy about an ailing man in his sixties who goes on the lam with a young woman. It is the feature film directorial debut of Jason Priestley. It was filmed in the late summer and early fall of 2012 in Sudbury, Ontario and Calgary, Alberta, Canada. The film was produced by Mark Montefiore of Montefiore Films and written by Jessie Gabe. Emily Alden of Pacific Northwest Pictures and Marina Cordoni of Breakthrough Entertainment are executive producers.